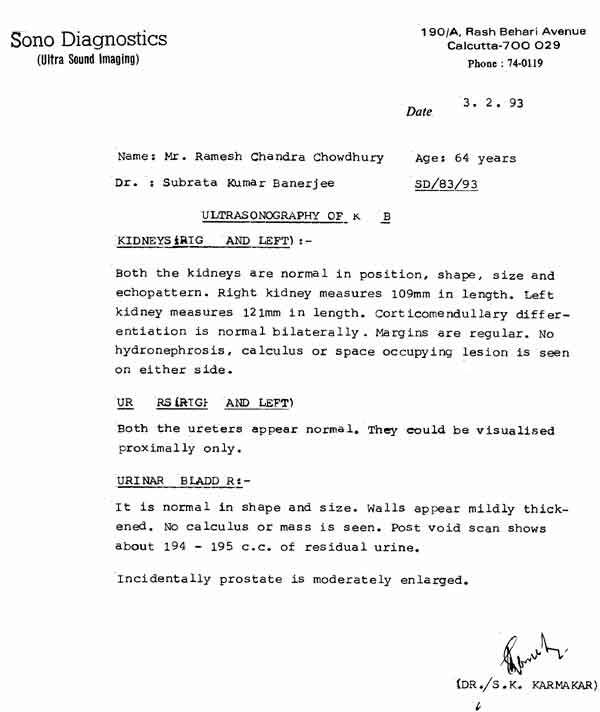 X-Ray report of Kidney, Ureter, Bladder, of Mr. R.C., Renal Calculi, before treatment. 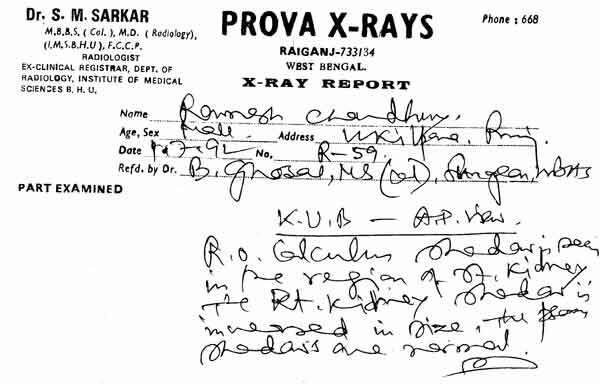 Sonographic report, 6 months after treatment.